C.1901, Ansonia Clock Co., "Cameo No. 1" 30-hour Wedgewood porcelain timepiece in excellent original condition. 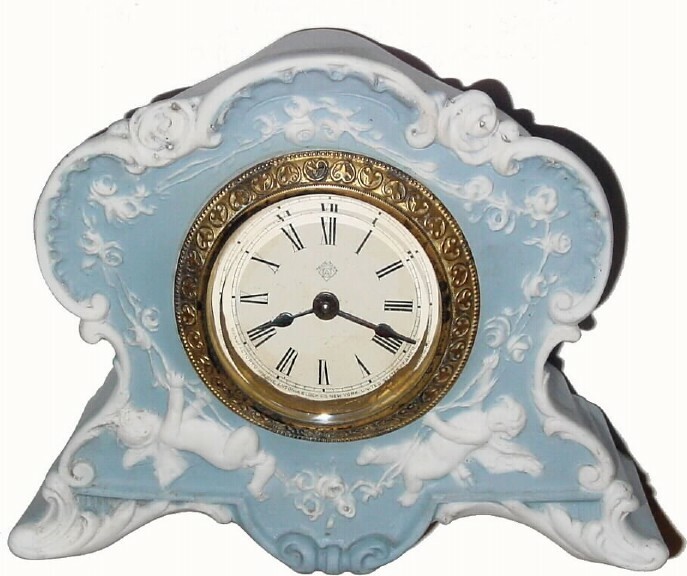 An attractive little timepiece in light blue with contrasting white elements (cherubs, scrolls, etc). The case is perfect with no damage. The dial is clean with original hands and beveled glass; reflector ring bent slightly from removal for cleaning. It also has a very nice embossed outer bezel. Height 5"